Jones, Indiana – After reports that Harrison Ford wanted his iconic adventurer to die, perhaps in the next installment of the series, his representatives contacted media outlets to say that such an insinuation is false. 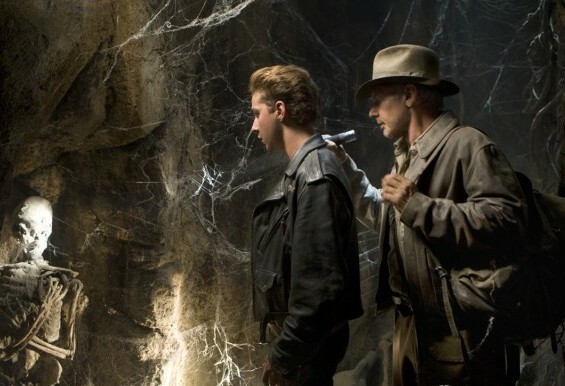 They clarified that Ford wishes Jones would have died before the travesty that was Indiana Jones and the Kingdom of the Crystal Skull to retain some dignity. Momsen, Taylor – While performing with her band, The Pretty Reckless, the always-entertaining Gossip Girl offended a Scottish crowd by calling the Glasgow audience the “craziest crowd in all of England.” This was thought to be a simple, inadvertent geography error until Momsen’s “To Offend” checklist was found, with every nation and group of people marked off except for Scotland. Morgan, Tracy – The hilarious 30 Rock actor will miss filming for a while he recuperates from a kidney transplant. The first two kidneys ended up not being compatible after they kept laughing uncontrollably and were rejected by Morgan’s body. Nicaragua, Survivor: – Jud Birza, a 21-year-old student and model, became the show’s youngest winner when he came out on top of a 5-to-4 vote. When asked what he would do with the $1 million prize, he …wait, this is show still on? Palin, Bristol – The Dancing with the Stars second runner-up says she’s happy that her ex-boyfriend, Levi Johnston, has found a new flame, daycare instructor Sunny Oglesby. Sources have supposedly confirmed the relationship by checking out their Facebook statuses and pictures. In sadder news, Facebook is now considered a legitimate source of information for news agencies. Richards, Denise – The Starship Troopers actress will reportedly be inviting hard-partying ex-husband Charlie Sheen to Christmas at her house, along with her new boyfriend, hard-partying ex-Motley Crue guitarist Nikki Sixx. On December 25, then, there will be no such thing as “cooking” wine at Richards Manor.